"Nike SB is preparing to honor Lady Liberty through this Nike SB Dunk High Premium. 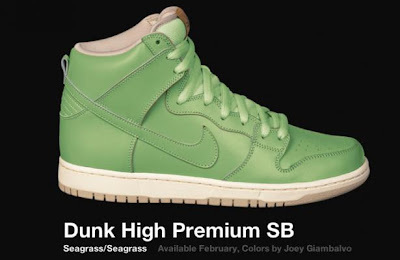 One of the most famous landmarks in the world, the Statue of Liberty is portrayed through the sneakers by the use of a Seagrass green upper mimicking the tarnished shell of the once-copper statue. Due to the lack of pictures right now, it’s unclear if the insoles feature any sort of graphics to further display the inspiration behind the sneakers. The release details are a little sketchy right now."